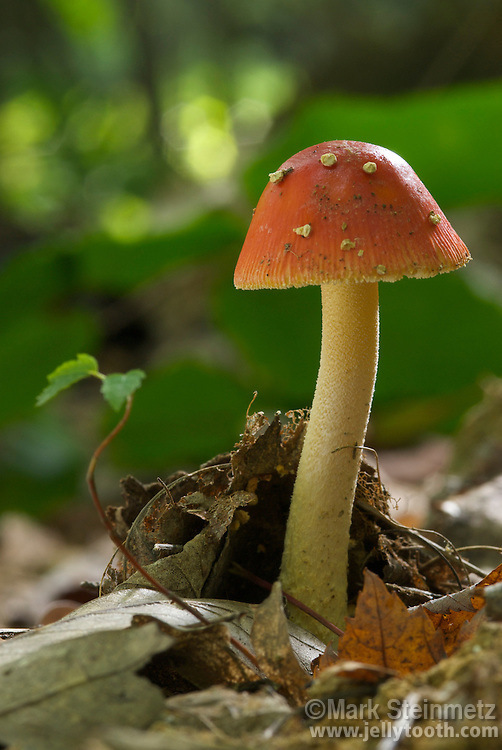 Small, red amanita mushroom (Amanita parcivolvata) growing from the ground in summer in a temperate forest. West Virginia. This species is often mycorrhizal with oaks and other tree species.